The historic park is located at 115 West G Street in Benicia, not far from Vallejo. 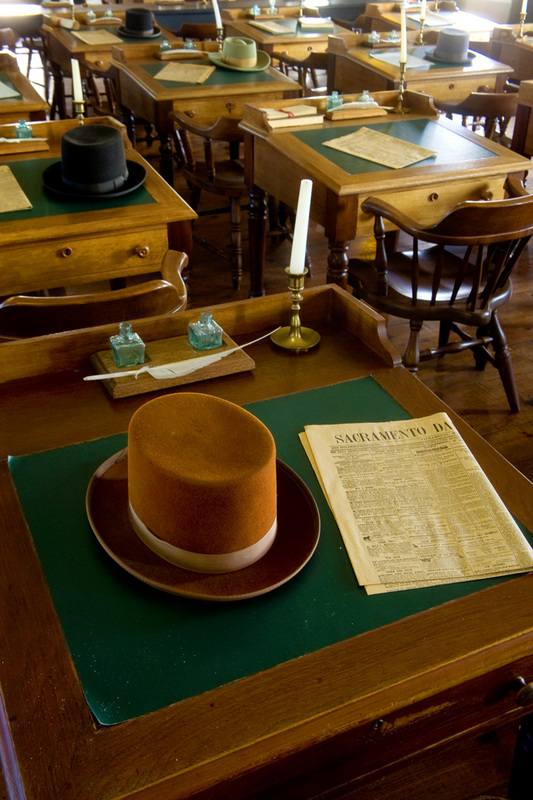 Benicia Capitol State Historic Park is the site of California’s third seat of government (1853-54). It is the only pre-Sacramento Capitol that survives. 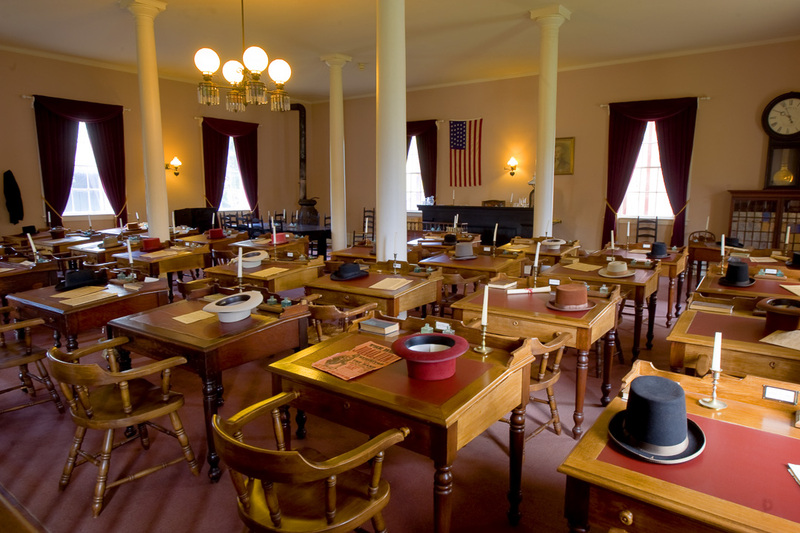 The original building has been restored with reconstructed period furnishings and exhibits. The interior includes a board-for-board reconstruction of the building’s original floor with ponderosa pine. 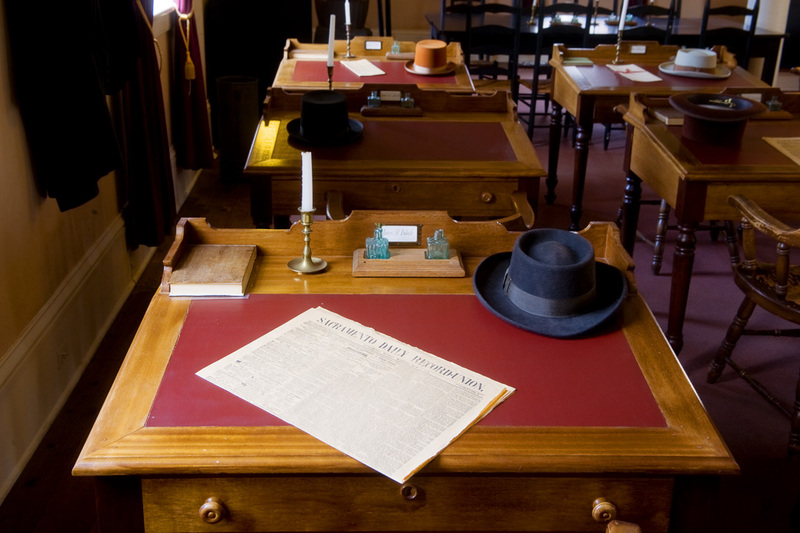 The desks, three of which are originals from the Benicia period or earlier, are furnished with a candlestick, a 19th century newspaper, a quill pen and a top hat. 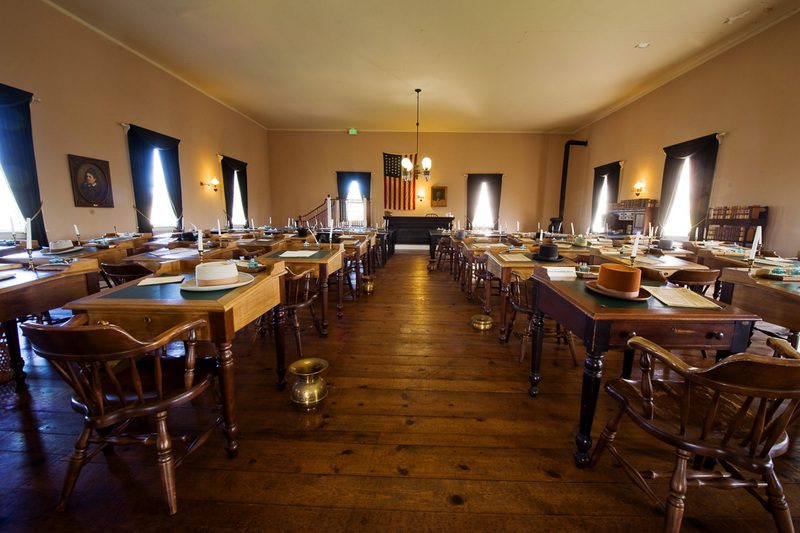 Located next door to the Benicia Capitol State Historic Park is the Fischer-Hanlon House. This house had once been part of a fire-damaged, gold-rush-era hotel. Joseph Fischer, a prominent businessman in Benicia, purchased a salvageable portion of the hotel and moved it to its current location at 135 West G Street. The hotel was converted to a home for Fischer's family sometime after 1858. 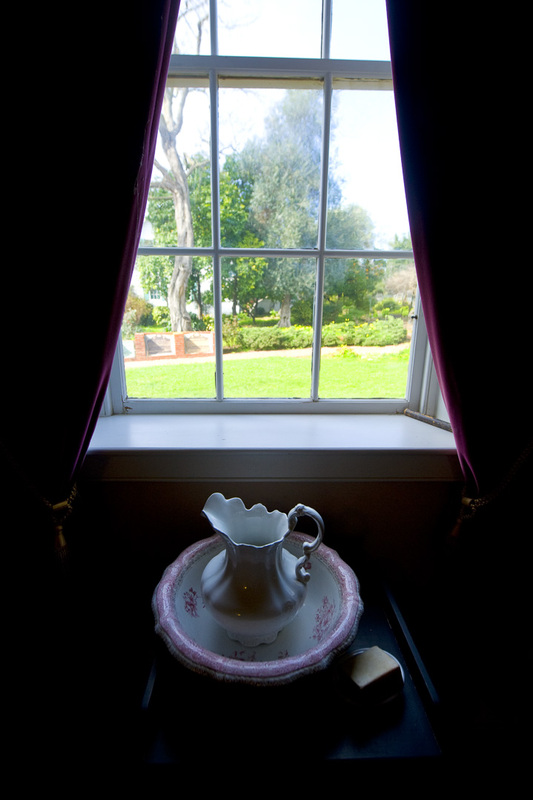 In 1968 the family deeded the house with its original artifacts and furnishings to California State Parks. Presently, the house interprets the lives of its upper middle-class family residents from the mid -1800's through 1968. Contact the park for school visit fee waivers, school visit reservations or programs, guided tour requests or group visit reservations. 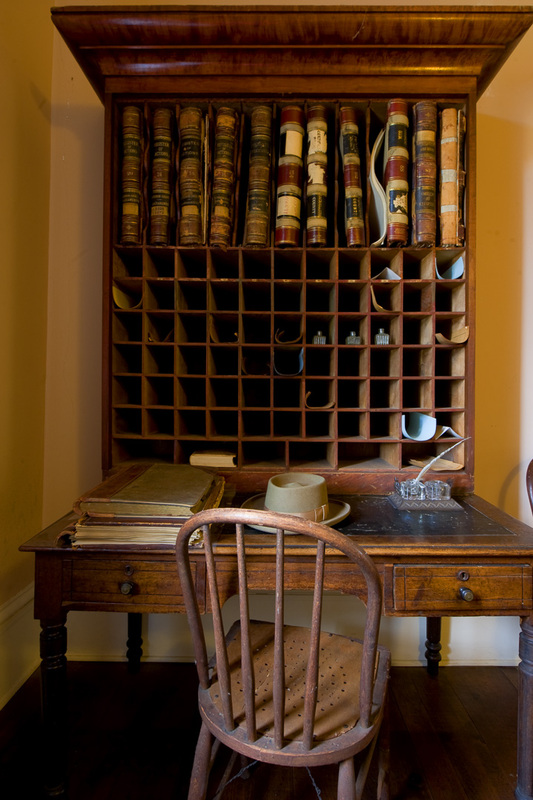 Historic Fischer-Hanlon House tours available some weekends, call the park for dates and times.